Welcome to the Metropolis of Atlanta Orthodox Leadership Development Program. The Strategic Plan created for the Metropolis of Atlanta considered leadership development as one of the key areas requiring improvement in our local parishes. The Strategic plan charted a course for developing a program to meet the needs of our Parish Council, Ministry leaders and Youth leaders. Professional leadership trainers in our Metropolis were recruited for creation and development of this program. Multiple areas were researched including leadership training programs already in existence, books on Greek Orthodox leadership and seminars to the committee on leadership from priests and lay persons. This knowledge along with parish leader experiences targeted specific areas for program development. 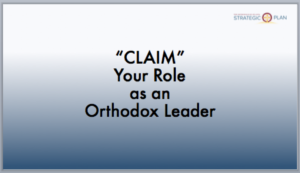 From this information, we developed a Framework for Orthodox Leadership Development. As the presentations were created, the original Framework was adjusted and reduced in size as many concepts became part of a whole presentation rather than an individual topic of training. Having professional Leadership Trainers created an atmosphere enabling these professionals to use their gifts for the stewardship of the Church. With their guidance it became obvious that knowledge based information could be developed for online training. This would appeal to Parish Leaders who may not have extra time to attend leadership training seminars, but would have the time to complete seminars online at their convenience. Behavioral changes, meaning it is changes in your behavior in handling leadership challenges, would require more contact with an instructor. One of the Committees main objectives was to make the program assessable and available. The Power point presentations are designed to be viewed on the Metropolis portal. . Each section has between 4 and 6 separate topics of information. The individual topics within each section can be completed within 10-15 minutes. Section 1 is mainly an introductory and overview of the entire program. Sections 2 and 3 are designed for self study through the Metropolis Portal. Sections 4 and 5 provide basic information but will require further training with a leadership trainer to be proficient. If your parish is interested in individual workshops for leadership development please contact the Metropolis. The sixth section includes sample Case Studies that can be used for group discussion or training based on the knowledge gained from the Orthodox Leadership Development Program. These scenarios could be discussed at parish council meetings, parish leadership training or with ministry leaders to develop appropriate responses to these common scenarios. Our Committee developed this program for your improvement. It is designed for your own pace, for your own convenience and for your self-study.